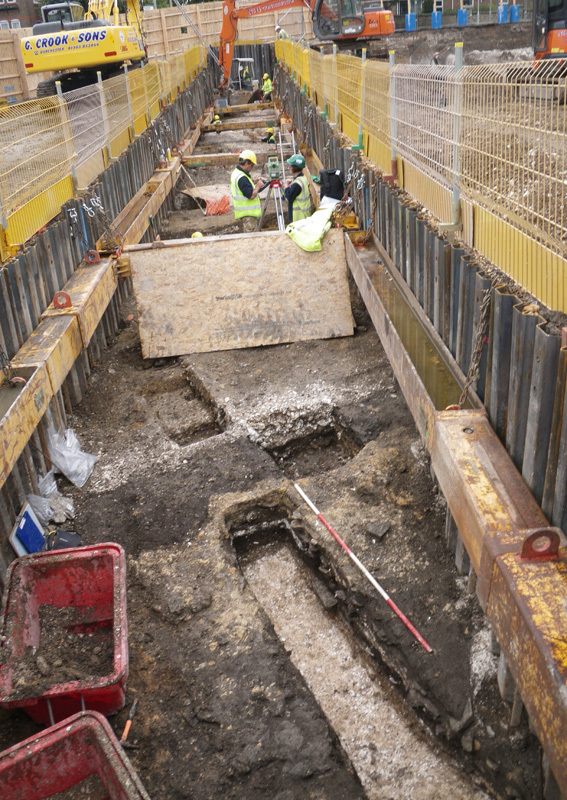 The foundations of Dorchester contain the story of its history. Generation after generation has built new buildings fit for their time. But eventually most buildings fall down or are demolished. Traces of them survive only as archaeology. At Charles Street a new library and council offices are to be built. 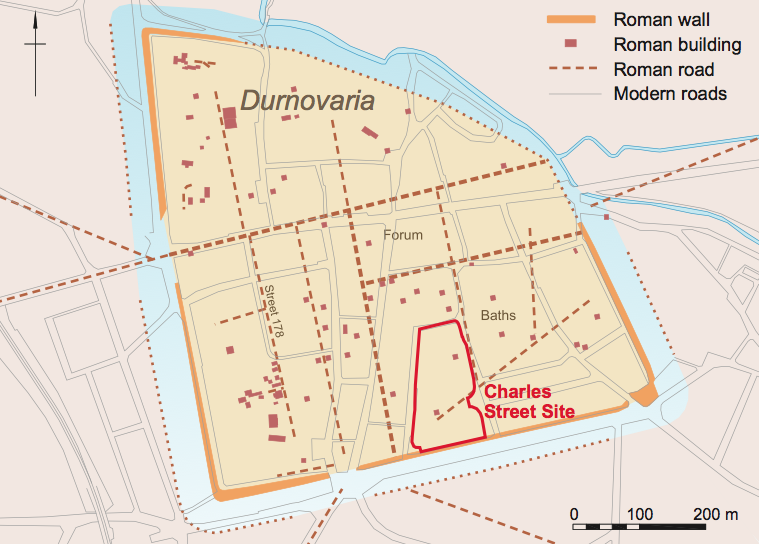 Studies made before planning permission showed that remains of the Roman town survive on the site. In order to preserve as much of possible of this chapter in Dorchester’s history developers and planners have worked together. 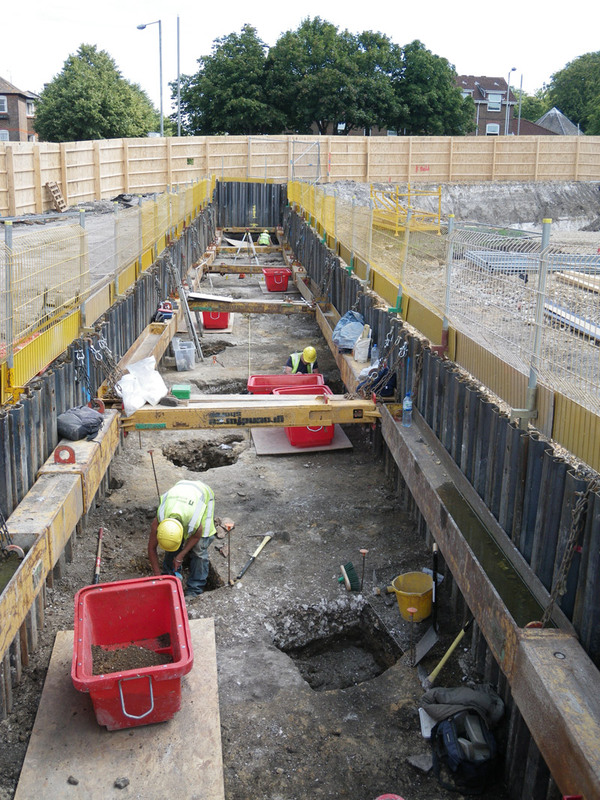 In the past all of a development site was excavated. Today the new buildings will be built on piles that will only disturb small areas. Only an area needed for drainage needs excavating. Archaeologists will keep a careful watch over all the building works. 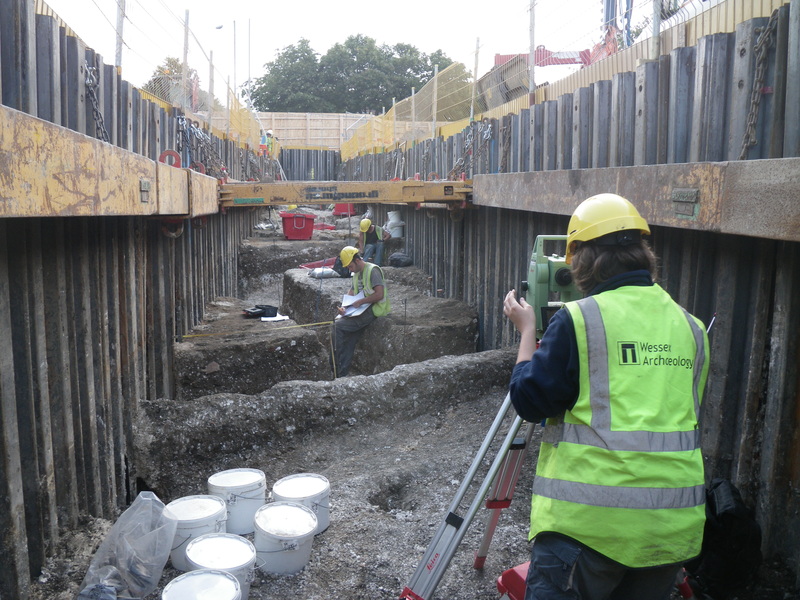 This plan means that as much archaeology as possible will be preserved but there is still the chance to learn more about the story of Dorchester. Charles Street lies near to the southern edge of the Roman town. The row of trees along South Walks marks the line of the Roman town walls. The Roman public baths, which were imposing buildings, stood not far away. 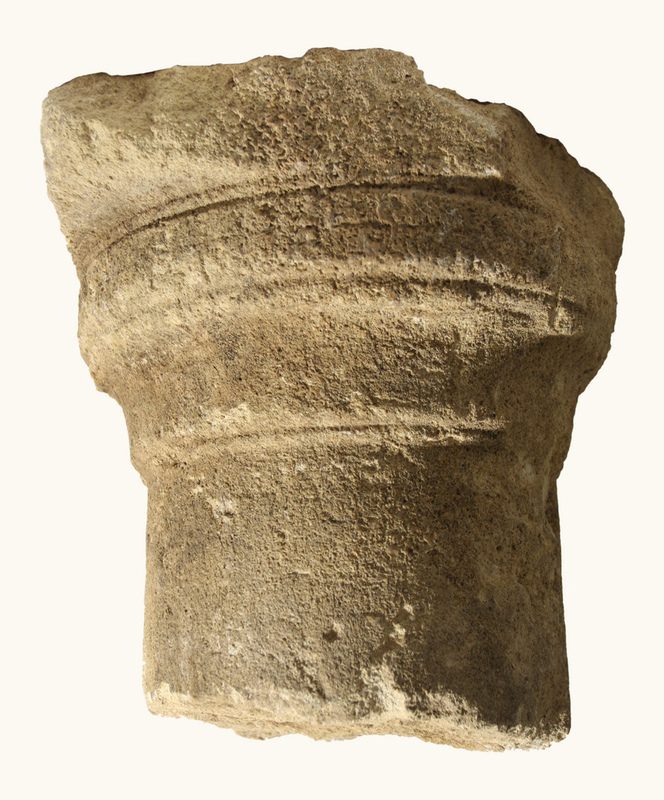 The first results from the excavation show that houses stood on the site in Roman times. As well as the stone foundations of the walls of the rectangular buildings, traces of some of the floors have already been found. One room has an opus signinum floor. 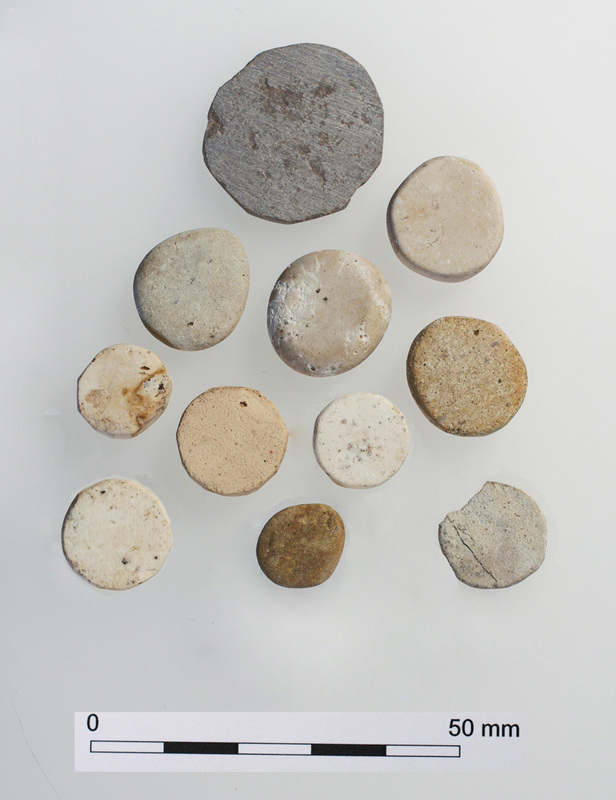 This flooring was popular in Roman times and was made of small stones and pieces of tile set in clay. 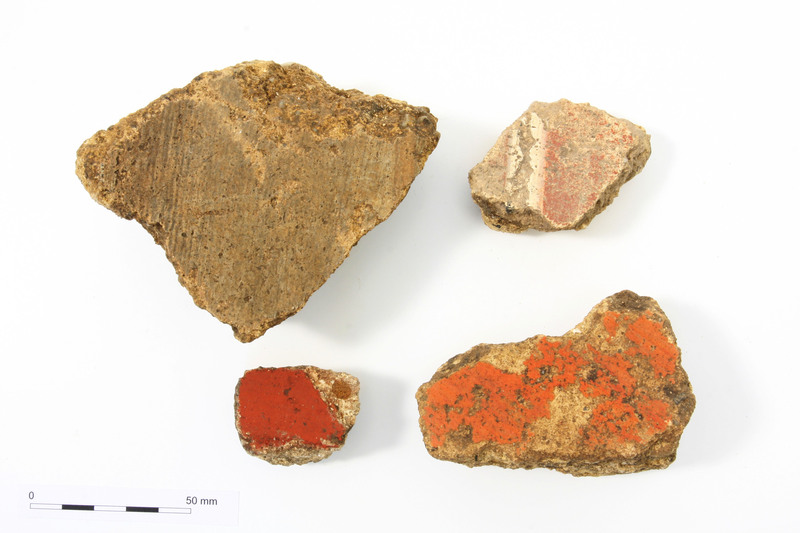 Other finds include pieces of painted wall plaster, coins and pottery. The burial of baby has also been found. 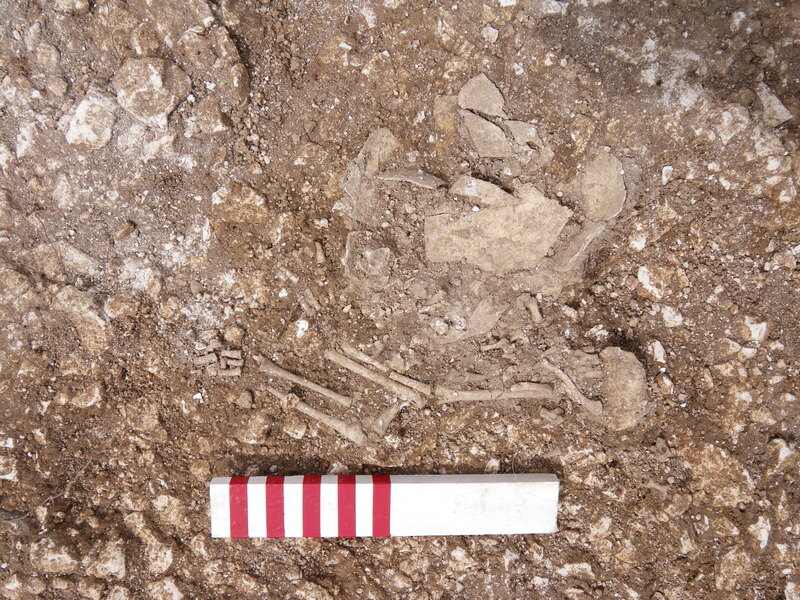 Although most Romans were buried in large cemeteries outside the town, infants were buried within the settlement. After experts have looked at the finds, public talks will be given and a report will be written. 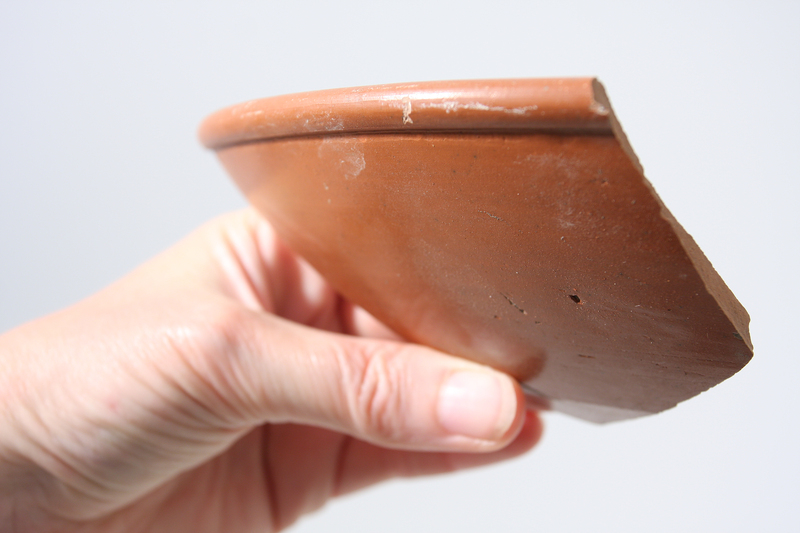 The finds will be given to the County Museum in High West Street. 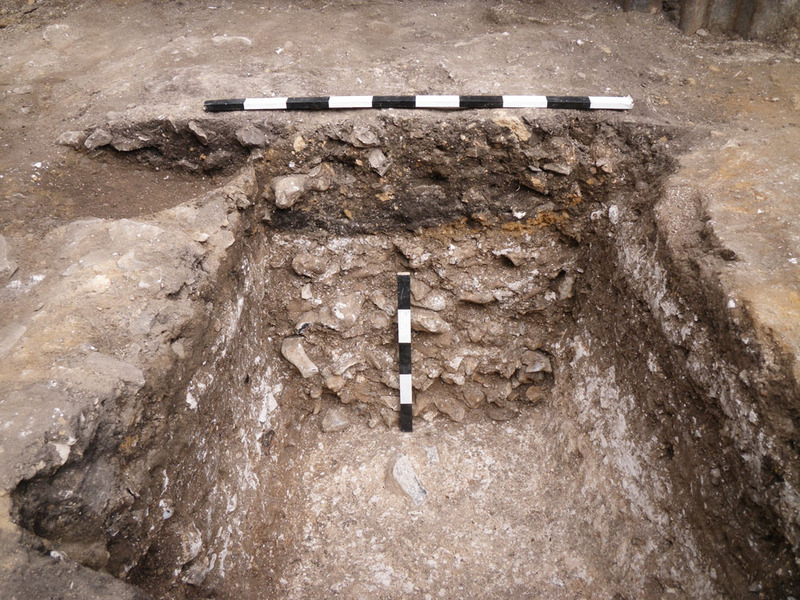 The first results from excavations found foundations of Roman houses, rectangular buildings and the traces of walls and floors. 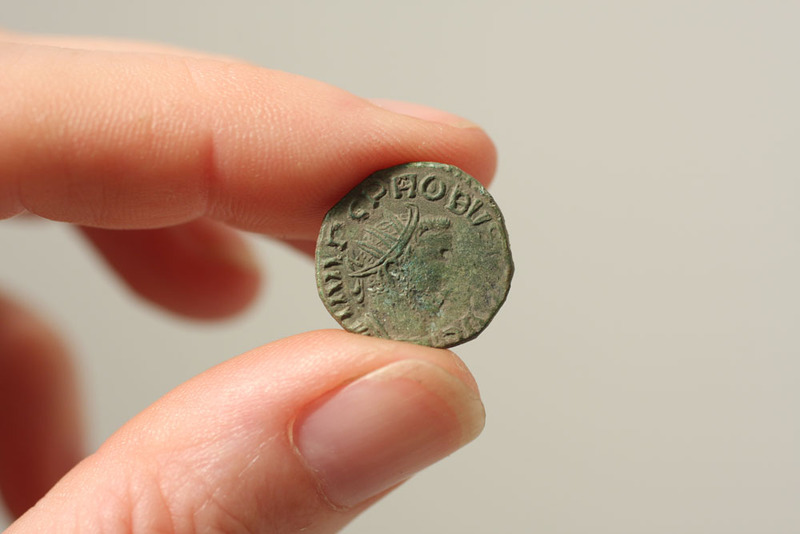 This week the archaeologists have found traces of how the stone was robbed from Roman buildings in recent times. 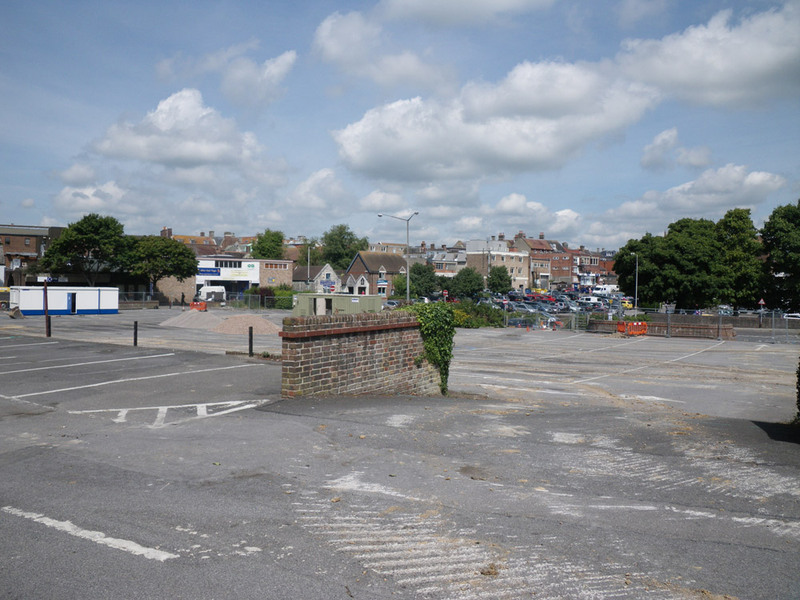 It is known that the ruins of some Roman buildings still stood in Dorchester until 300 years ago. 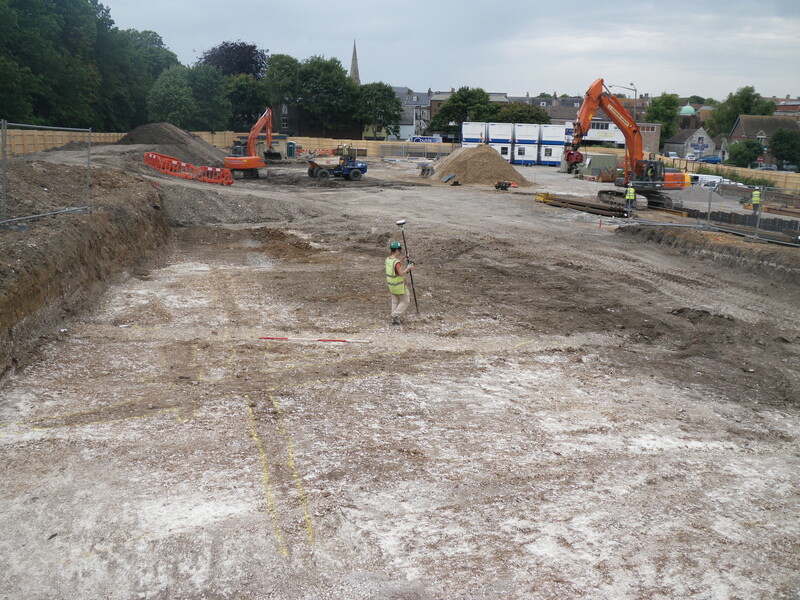 This week it has become clear that the Roman activity in the excavation area was relatively short lived. All of the buildings seem to belong to a single phase. This may be because the site was on the outskirts of the town, even though major public buildings stood only a few hundred yards away. The buildings seem to have been systematically demolished in the late Roman or post-Roman period. The stones were not removed during that time but were then robbed in the 17th century. 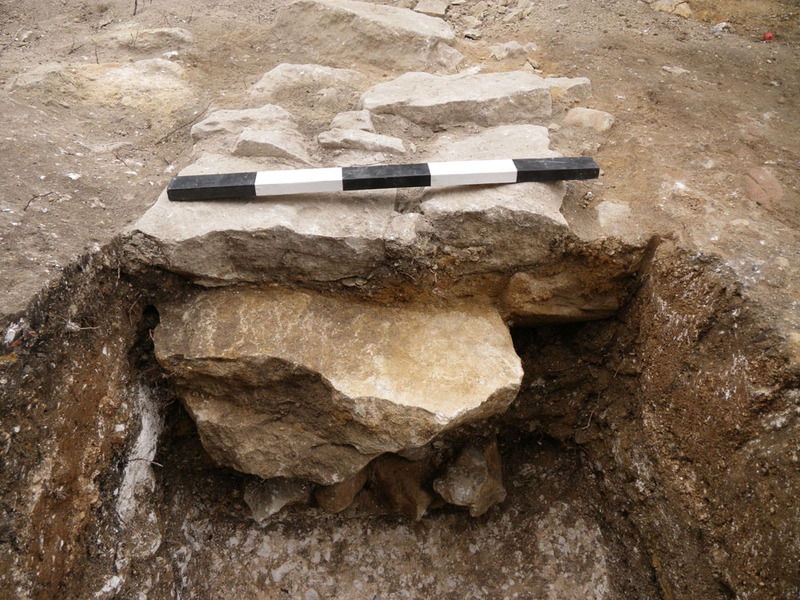 Because of this the discovery of the end of a stone column is a surprise find. 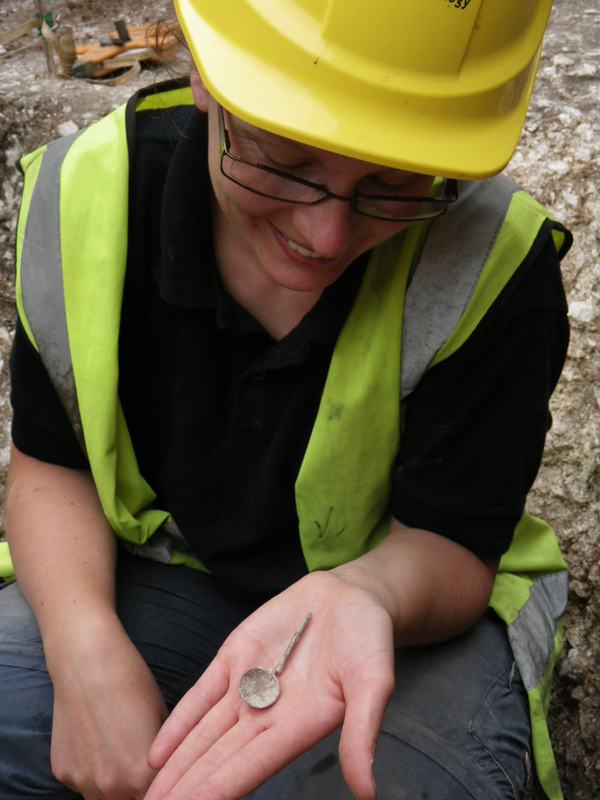 This week the excavations are drawing to a close. 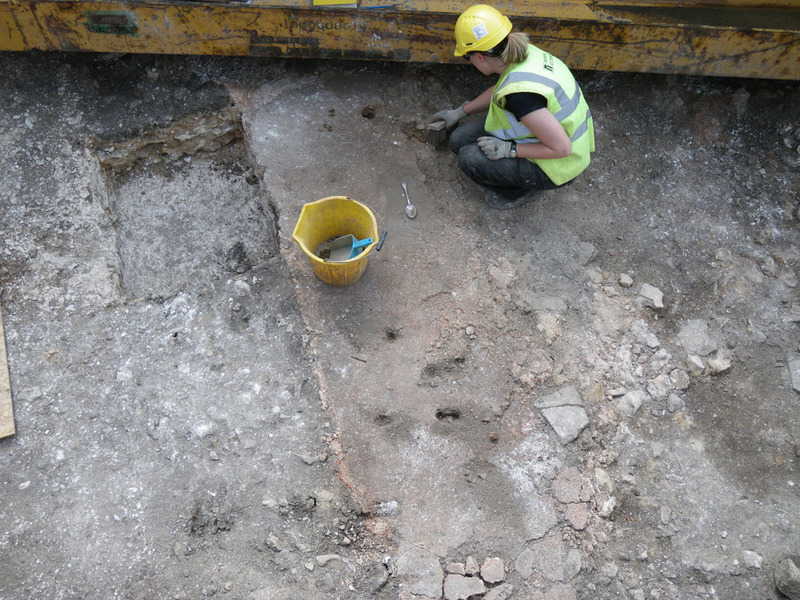 The floors and foundations of the Roman town house have been removed. Beneath them are layers of rubble which were used as a level surface to build on. Under this there are a few traces of activity from earlier in Roman times. 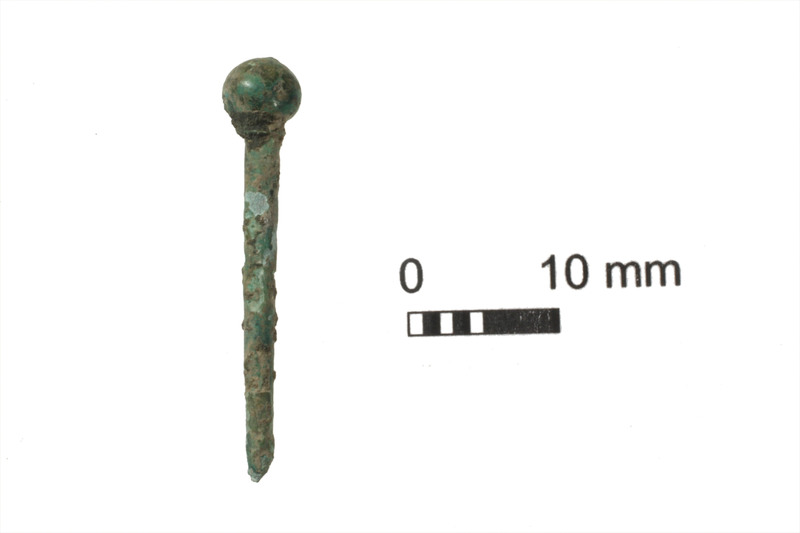 The finds tell us about the daily lives of the people who lived in the house. Oysters were popular in Roman times and many shells have been found. Other things were brought from the coast. 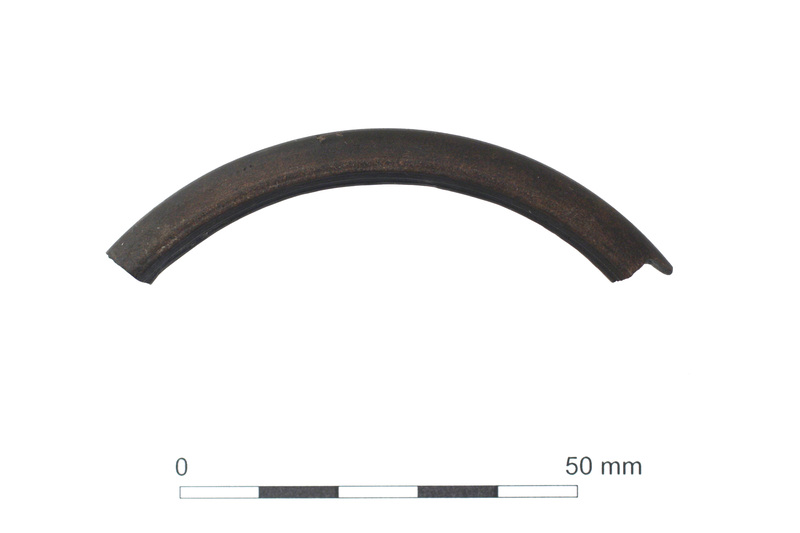 They include part of a delicate bracelet made of Kimmeridge shale, and an amphora for transporting olive oil from Spain. A collection of gaming counters gives a hint of some of the games played almost 2000 years ago.